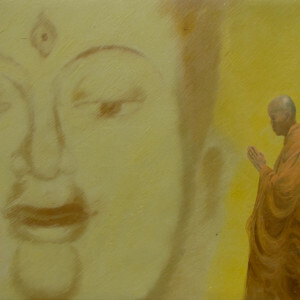 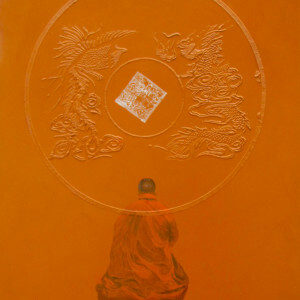 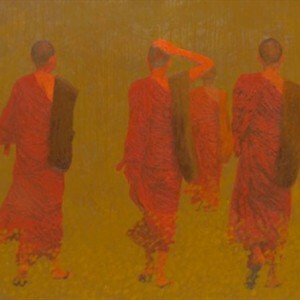 Contemporary Asian painting is grounded in traditions of both the east and the west. 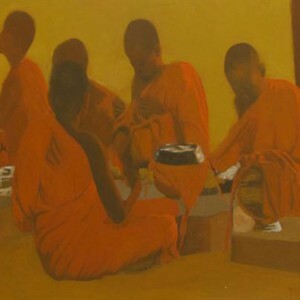 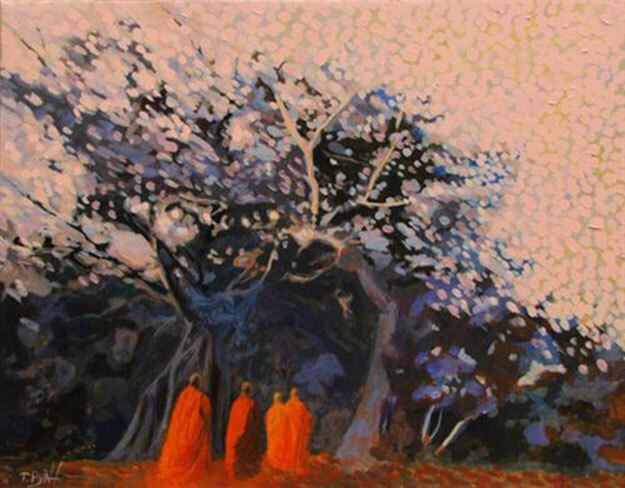 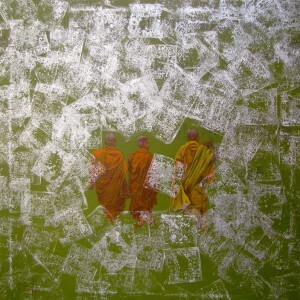 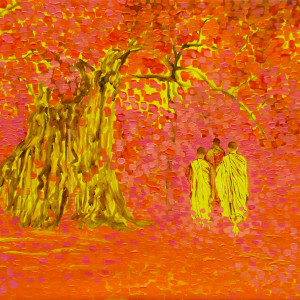 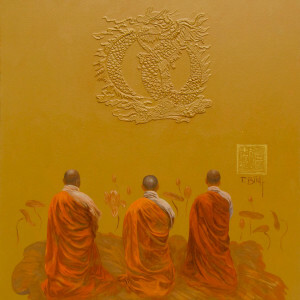 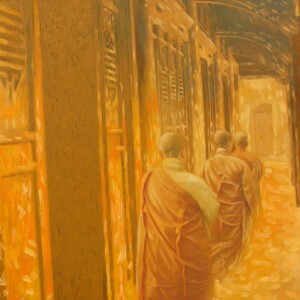 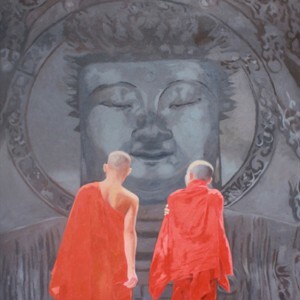 This can be seen in this oil on canvas by Vu Thai Binh. 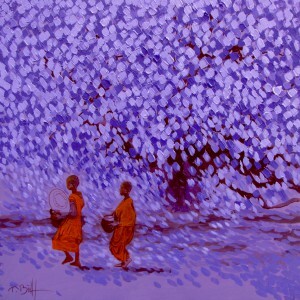 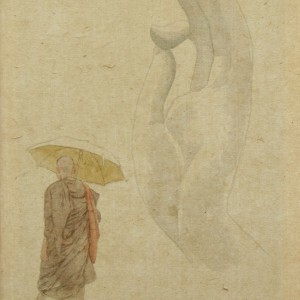 He presents the oriental philosophy through the prism of impressionism. 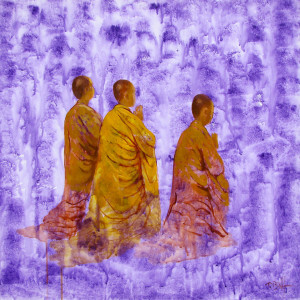 Delicate violet and lilac landscape colors are accentuated by the fire-like clothing of the monks. 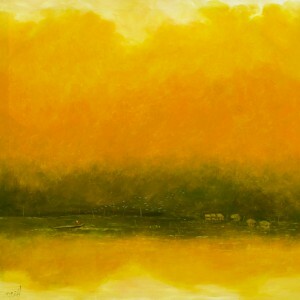 A beautiful composition!